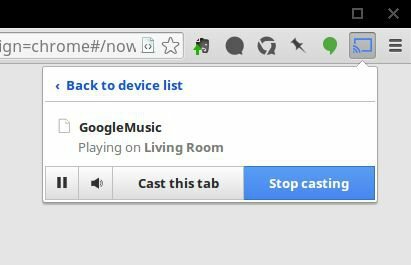 How to use Chromecast on a laptop! You know what? 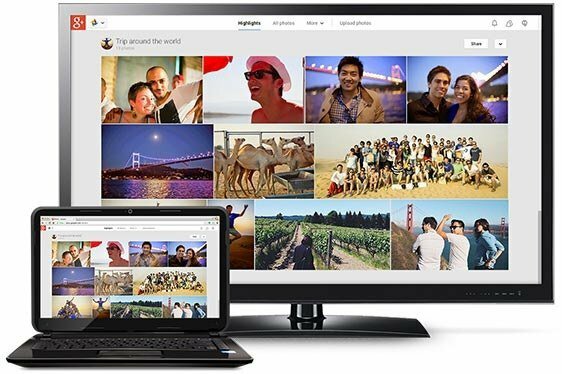 You can now mirror your laptops screen on your TV using Google’s Chromecast. Well the story involves a variety of ways by which you can start using Chromecast on a laptop, but over here I will go with the easiest one for you to be a Pro is managing with your Chromecast device. So let’s get to it already! Who doesn’t even want to stream TV shows and music from your laptop onto the big screen i.e. your TV screen, that’s basically the purpose what a Chromecast was designed for. Chromecast is a wireless device that is to be plugged into your TV in order for the screen to get access to various streaming channels including the most loved ones, Netflix and YouTube. Now we are almost ready to set up the streaming connection in between the TV and the laptop. Oh, this here reminds me you must have a user friendly and workable operating system already installed in your laptop. The most compatible ones being the MAC OS and the Windows Operating system. If you’re living according to the tech trends, you’d obviously be having a Chrome browser installed. However if you are still a Explorer person, get your hands on the Chrome browser right now! 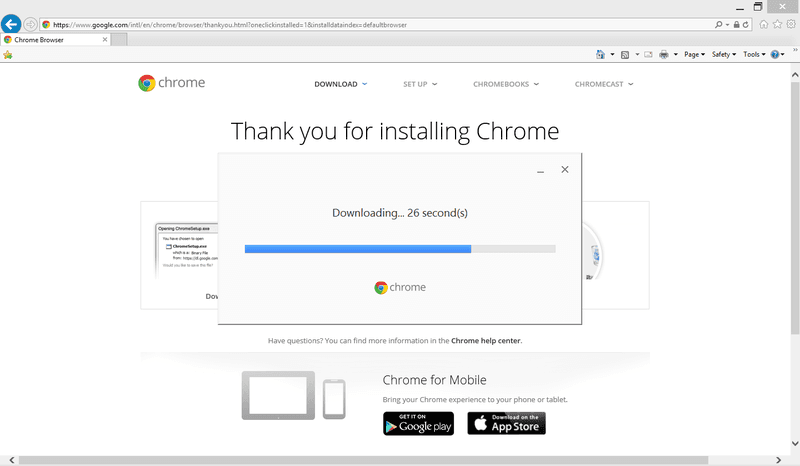 In case if you have doubts regarding this, check out How to install Chrome browser? 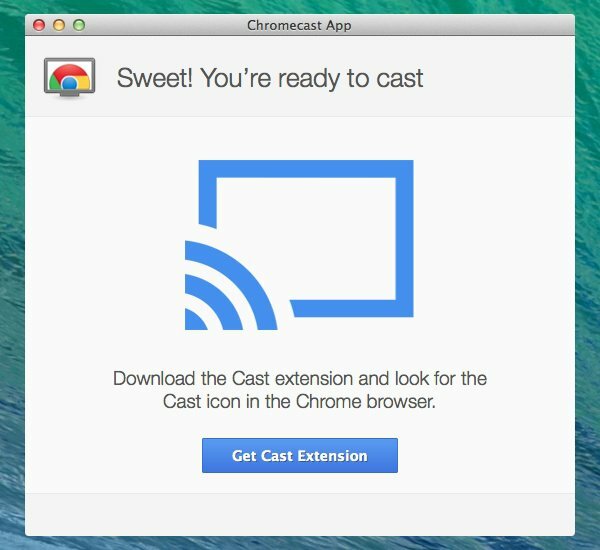 Out of hundreds of exciting extensions chrome offers, we will be using the Google Cast extension from the Chrome Web store. Double click on the Chrome icon on your desktop. At the top right click More > More tools> Extensions. 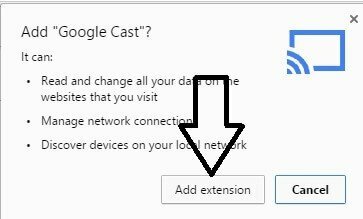 Search for the ‘Google cast extension’. Add it to your browser. You have successfully enabled the cast extension. 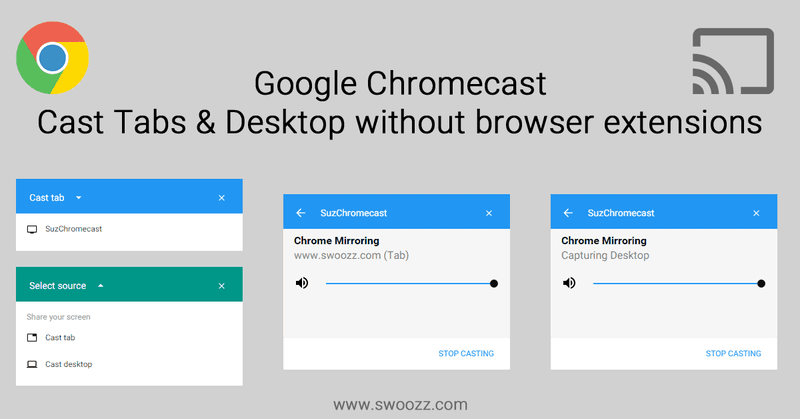 This step sets up the base for using Chromecast on a laptop. 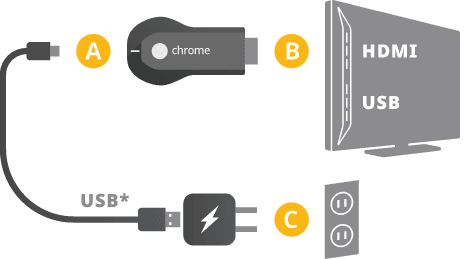 In the HDMI port at the back of your Tv screen, plug in the Chromecast device safely. 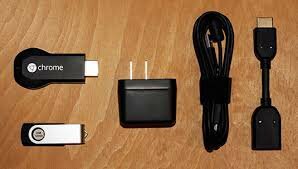 The Chromecast gadget includes a USB cable for power and a power adapter. If there’s a USB port at the back of your TV Screen, you can plug the cable right in. If not, you can make good use of the adapter. This step ensures that now your TV can be casted from a browser installed on a laptop, PC or even a smartphone. Get back to your laptop and open the browser again. 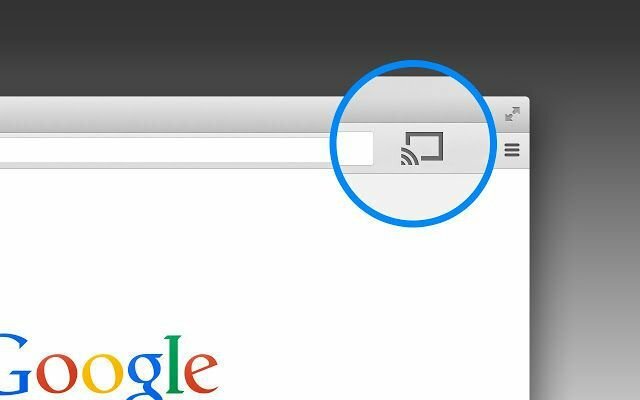 Now since you have already installed the extension, on the top right corner of your browser’s window a Google Cast icon would be there. Click on it. Select your Chromecast from the list available. Wait a few seconds. Congratulations! The tab now appears on the screen. If you do not see any results, make sure your chromecast device is online and your TV is active. After you have successfully cast a browser tab onto your TV screen, you also need to know how to work with the casting details i.e. to adjust the volume or to stop casting. Right click the page you have cast from your laptop. Select ‘Cast’. The cast dialogue box will appear having a volume control and a ‘Stop casting’ button. You may also click the menu button and select ‘Cast’ for the Cast dialogue box to appear. Some users assume clicking on the ‘x’ button on the extension screen would stop the casting. That’s not true at all. You may also do a live test. Casting would only be stopped if you choose the ‘Stop’ casting option from the dialogue box or if you directly close the cast tab. READ What Is The PUBG Laptop Requirement? Though the Cast extension does nothing much except giving you the permission to set up a casting connection between your TV Screen and any other working device, still its one of a kind. Constant updates have been making the extension easy to use and better than ever before. A very versatile tool to help you enjoy movies and shows on the big screen by adopting an easy streaming connection laying there on your living room’s couch. 1, How much does Chromecast costs? A regular Chromecast device can cost you round about 35 – 50 dollars. 2. Why do I need Chromecast device? Consume the best from your streaming services such as that of Netflix and Hulu and watch content on the big screen. 3. Why don’t I need Chromecast? Check out if your Tv is anyone of the following, in such a case you already have all the services that a chromecast can provide you with. 4. What can I watch on Chromecast? EVERYTHING! Yes, almost everything that you can load onto your laptop, the streaming services or applications; they all can be watched through Chromecast on the big screen. 5. Can I control Chromecast with my voice? Yes, Google assistant can do that for you. Just by using a few words you can cast music and videos to your TV, after you have developed the wireless connection. READ What is the best operating system for Laptop? You may also like to check these ones out! 6. Is Chromecast travel friendly? Yes, due to its small portable size. However you definitely need all the components I mentioned in this article i.e. A Chromecast device, A working television with a spare HDMI port, A fair WiFi connection, A charged laptop. You will have to login with the new details for setting up a connection between new pair of TV and a Laptop screen. 7. Can I buy Chromecast on Amazon? Not currently, but some terms and discussions are on going between the two parties. You will soon be able to buy Google Chromecast devices from Amazon then. 8. Is there a monthly fee for using chromecast on a laptop? No, its just a wireless hardware device to let you cast content on your TV from your laptop, PC or smartphone. 9. Is Netflix free on chromecast? Because of the public going nuts over this offer, it is sadly no longer available. 10. What is the best chromecast device? Amazon Fire TV Stick With Alexa Voice Remote. 11. Name a good and cheap Chromecast device by 2019? Bed Bath and Beyond Chromecast gadget costing $35. 12. Can content be casted from a phone onto a laptop using Chromecast? No, chromecast devices are specifically designed for the big television screens. Tired of the long boring intros at the start of your favourite shows? You can now skip NETFLIX intros using Chromecast devices. 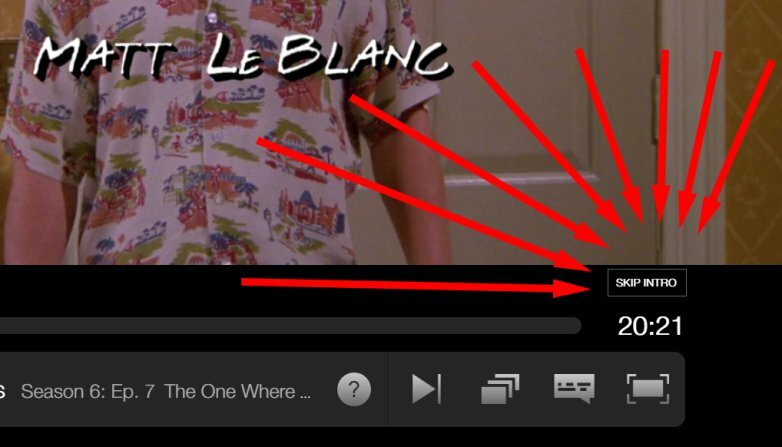 While casting Netflix onto your TV screen, you would see a button on the browser window of your laptop ‘Skip intro’. Clicking on the button would take you directly to the show. Sit back and enjoy!